﻿ Best Price on Tamarindo Residence in Bayahibe + Reviews! Tamarindo Residence is 5 minutes’ walk from Dominicus Beach and 5 km from Bayahibe Town. It features an extensive garden, 3 swimming pools and apartments with balcony. The accommodations offer basic décor, air conditioning, a seating area and a fully equipped kitchen with stove and fridge. The bathrooms are private and come with shower. Guests can find the shopping area and restaurants within 300 metres. Tamarindo Residence can also arrange tours to La Romana and to Altos de Chavon Medieval-style Village, with an extra charge. There is a casino 200 metres away. It has a nightclub and a lounge bar. 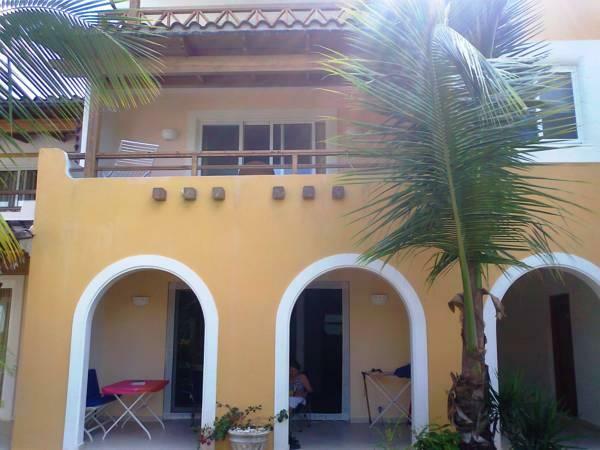 Tamarindo Residence is 30 km from Minitas Beach and 30 minutes’ drive from Punta Cana. La Romana International Airport is a 20-minute drive away and La Romana Town Centre is 30 minutes’ drive away. Please note the property does not accept credit cards. They will contact the guest in advance to arrange deposit payment. A security deposit of USD 350 is required upon arrival for incidentals. This deposit is fully refundable upon check-out and subject to a damage inspection of the accommodation.